1977-78 along with the more recent revamp of 2005-7. 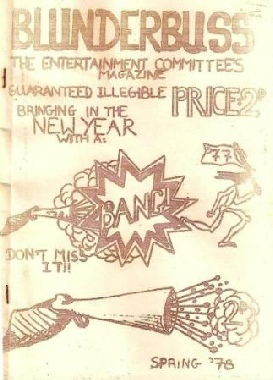 We believe this is the complete archive of the original BLUNDERBUSS. However if you have any others, please contact the Editors.